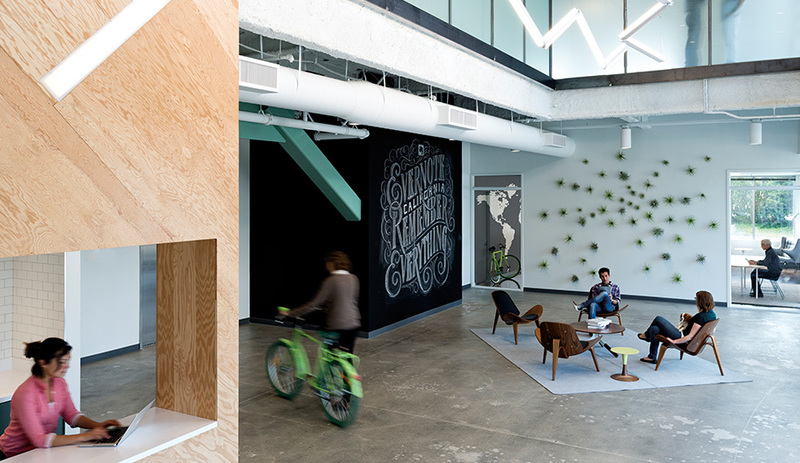 Shopbop headquarters in New York, by SHoP Architects; and Momofuku restaurant in Toronto, by The Design Agency. 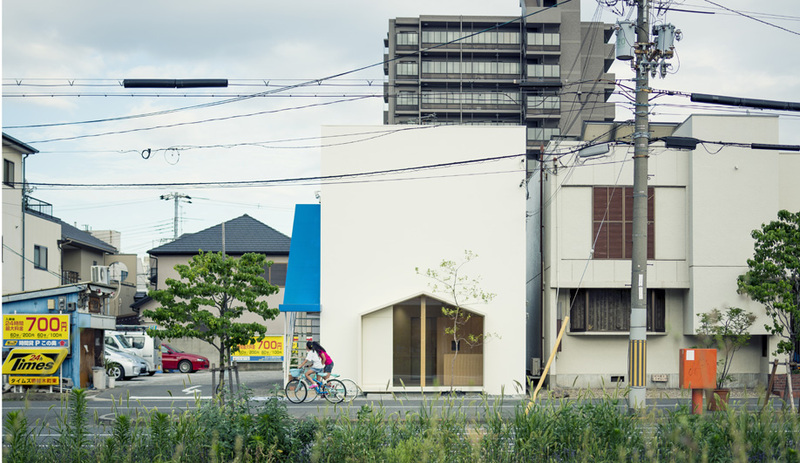 In Osaka, Japan, Tsubasa Iwahashi Architects cuts a house-shaped front window into a monolithic facade that otherwise blends in with the neighbourhood. 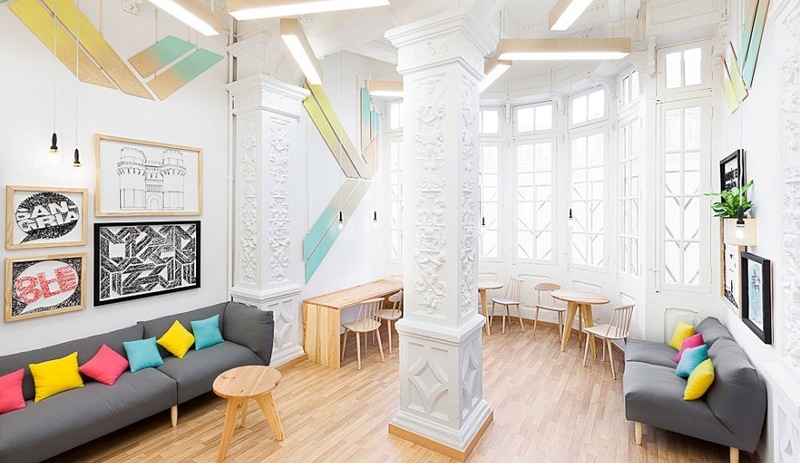 Local firm Masquespacio transforms a neoclassical interior into a modern learning space through the use of subtle pastel gradients. 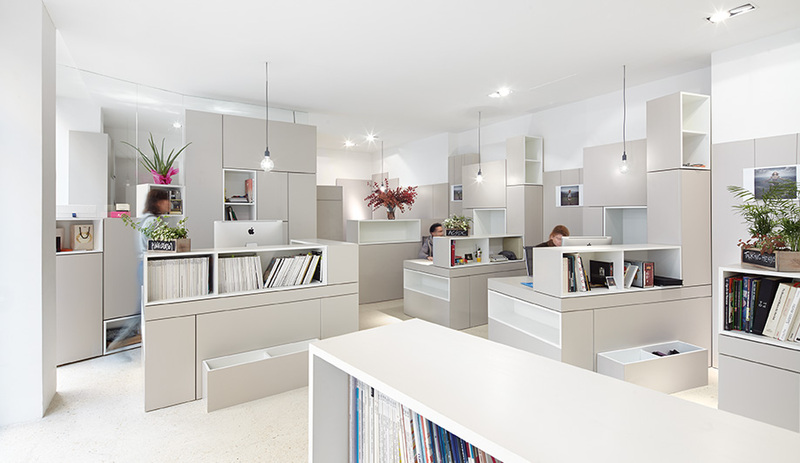 For a small creative agency, H2O Architectes makes the most of cubbyholes and storage space. 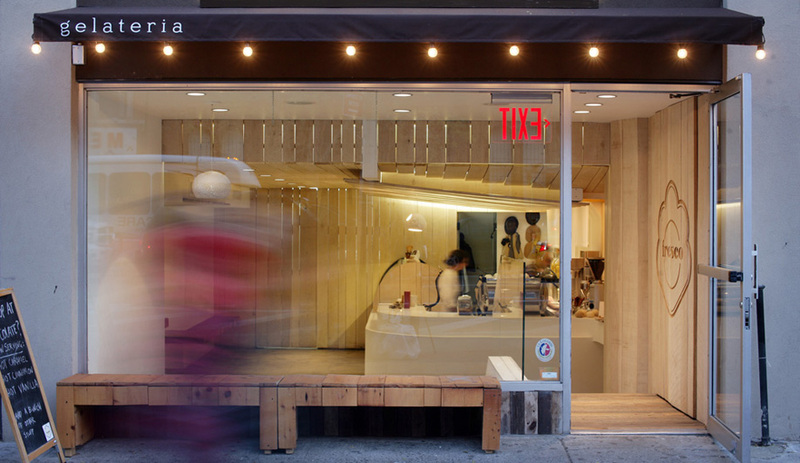 For Fresco Gelateria in New York, architect Nicholas Karytinos creates a seaside motif, with sandy-hued concrete and reclaimed boardwalk wood from Coney Island. Need an office right away? 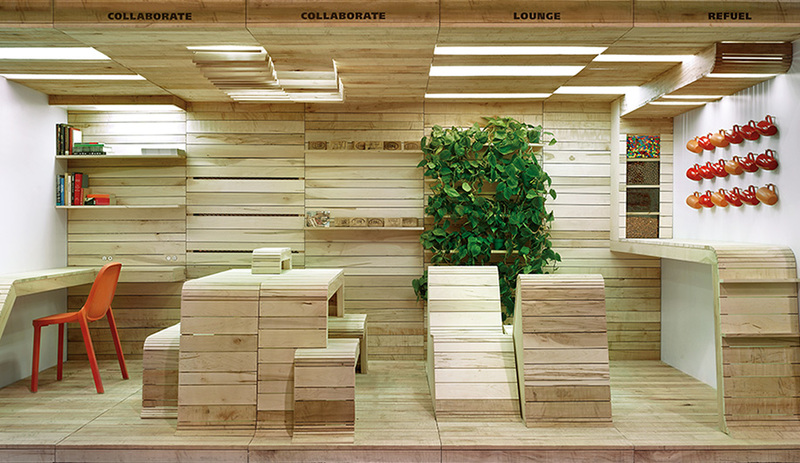 Heather Dubbeldam proposes a snap-together workspace that fits inside a container. 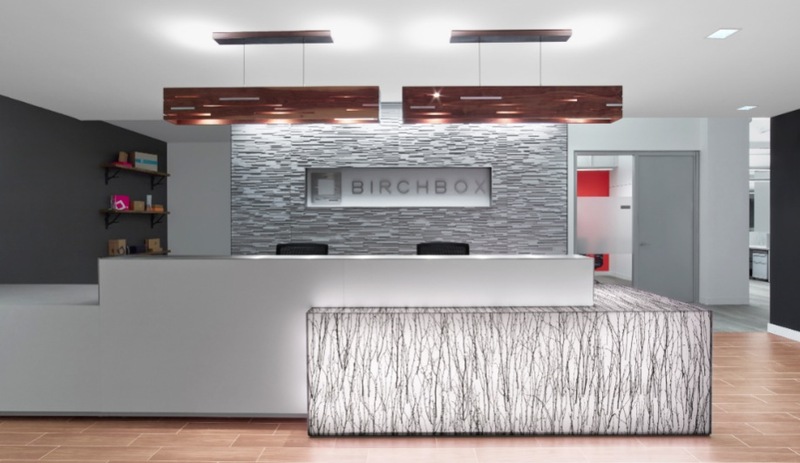 For the online beauty retailer, Design 3 crafts a New York headquarters that plays up woodgrain patterns and provides employees with colourful work and rest spaces. 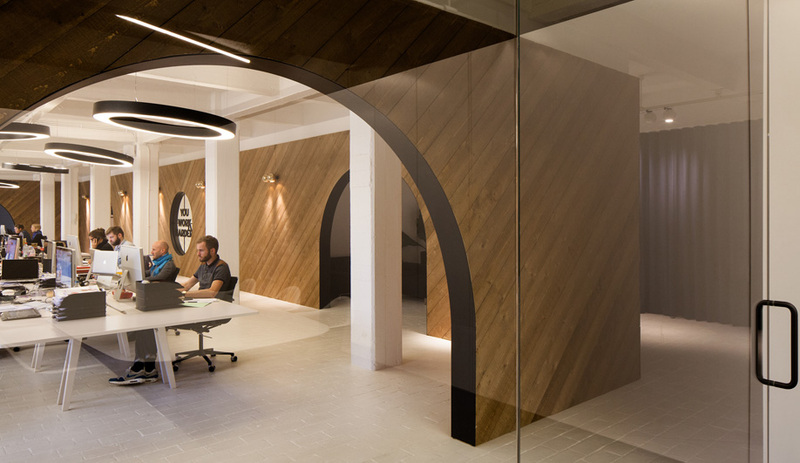 In the Antwerp design firm’s new offices, a treehouse-inspired pine wall with arches carves up the space into cozy nooks enlivened by bursts of colour. 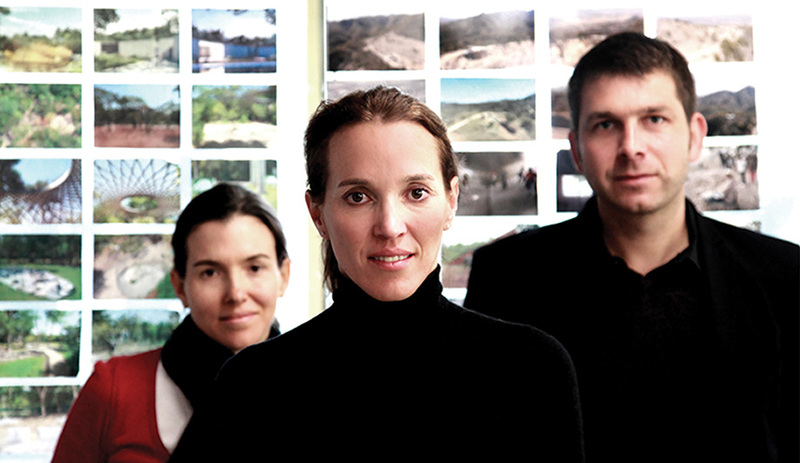 Through their exploration of natural materials, simple forms and local techniques, Tatiana Bilbao and her team take an organic approach to sustainability.